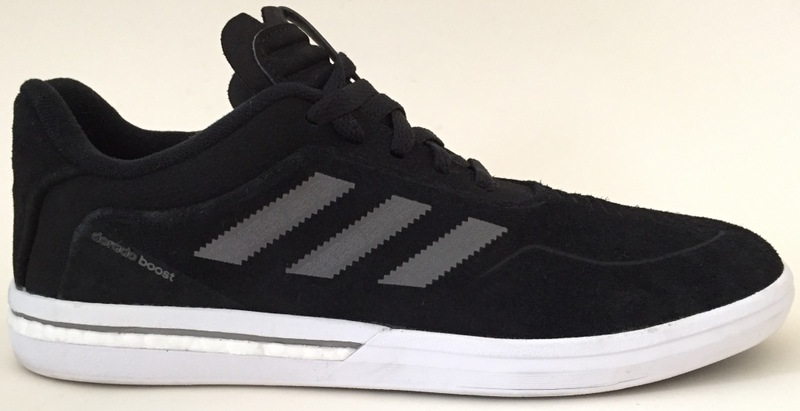 Not too long ago, adidas introduced us with its cushioning platform Boost, featured in the Boost ADV for skateboarding footwear. 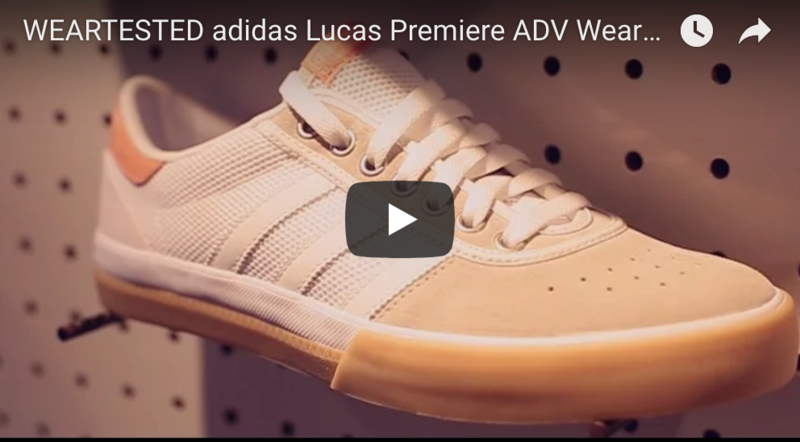 The Boost ADV was the first shoe to highlight the Boost technology, and now, adidas has introduced us with the next shoe in the lineup, the Dorado Boost. Although both shoes were pretty similar using the same sole , we were still curious about any small differences and put the model to the test. Enjoy the review. The Dorado Boost fits true to size. 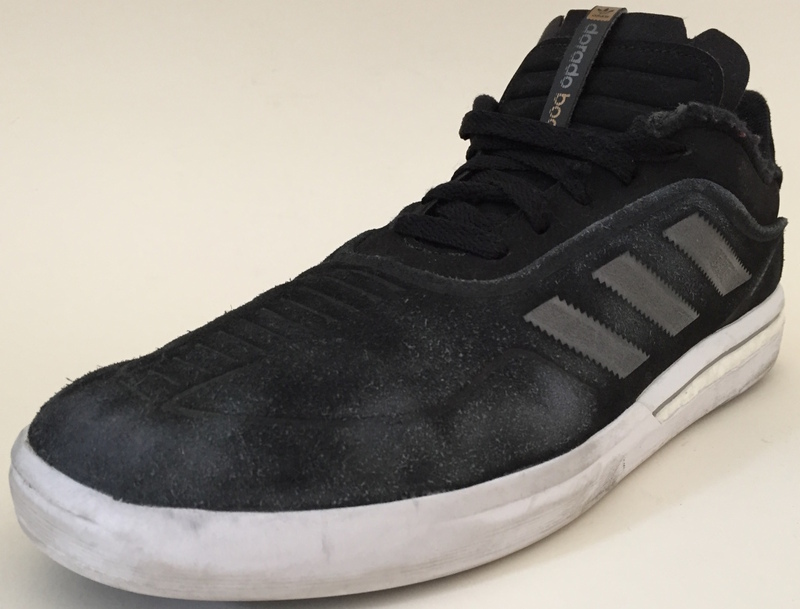 The adidas Dorado Boost consists of 2 parts. However, the most important one is the outer upper that spans from toe to the heel. The durability of the model is good due to several reasons: The one piece upper had no seams, was made of a solid material that consisted of suede which left us a high quality impression. and both the laces and three stripe logo (fused on) were well protected from abrasion. All these parts are basic protectoral factors which sum up to a very impressive durability. Additionally, the sole also proved to be extremely durable during our weartest. Adidas uses the same sole in the Dorado Boost as for the Boost ADV, with a main focus on cushioning in both models. The Boost technology consists of thousands of small thermoplastic polyurethane balls which provide exceptional impact absorption and compression rebound compared to the traditionally used EVA foam. 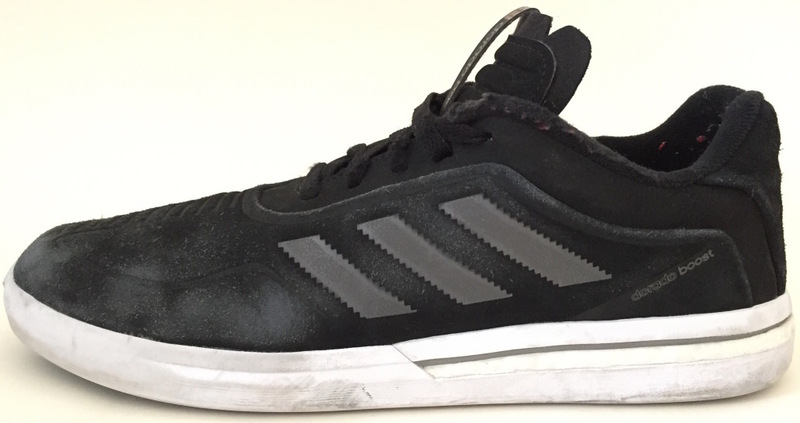 The sole is begins quite thin in the toe cap area, and starts getting thicker in the midfoot area and ends with the heel area protected with a 1 – 1.2 centimeter thin Boost layer. As a result, the sole gets thicker the further you get to the middle and heel part of the shoe, which helps improve cushioning and creates an overall comfortable feel for the foot. In addition, the sockliner adds a well-suited cushioning effect. However, a weakness in this kind of sole construction is the lack of cushioning and impact support in the toe area. 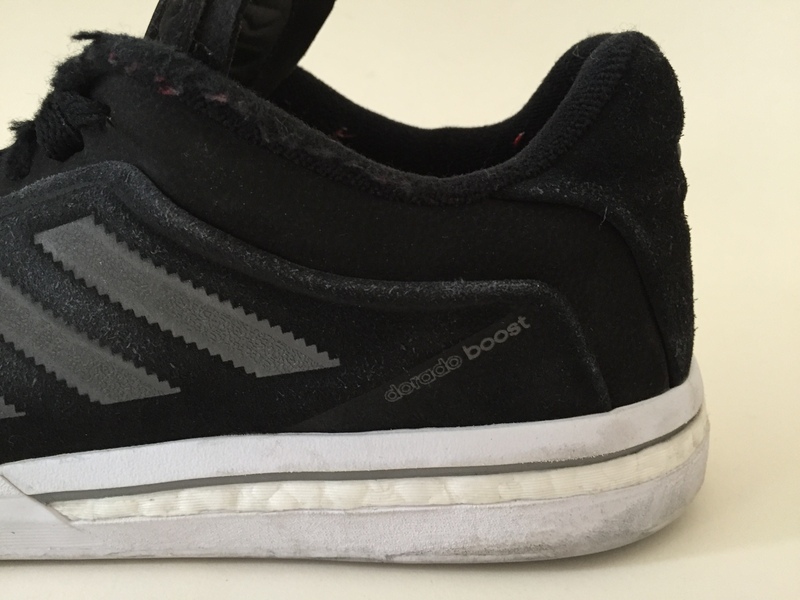 Although the Boost technology clearly shows its impact advantages for the heel area, the toe area itself was just too thin. As a result, to sum up, boardfeel was the victor over cushioning here. 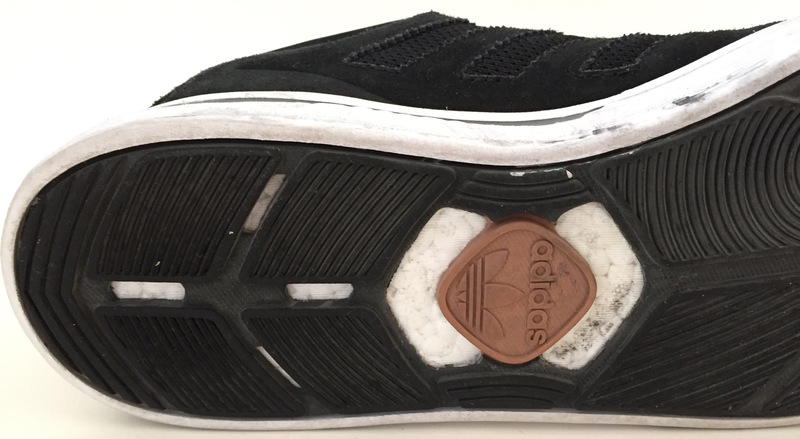 The Dorado Boost ADV is cut close to your foot, especially in the mid foot area. However, a weakness was pinpointed in the toe area and heel area, both areas had a bit too much space. For the heel area, there wasn’t a good heel lock and since the the toe area had too much space it resulted in developing waves due to a lack of stability. With that said, the toe cap area is still pretty long and pointy, which ensures a great control over your flick for flip tricks. Boardfeel is influenced by the thickness of the sole in the toe area. As you can see in the half cut picture, the sole is very thin in the frontal area and combined with incisions in the sole, the model results in excellent boardfeel and grip. The thinness of the sole also makes the sole very flexible so it can adapt to the board’s concave extremely well. Grip was very consistent during the whole time of the test, nearly comparable to vulcanized models without being to “gooey“. Comfort of the Dorado Boost is only average. The weight itself leaves no positive nor negative impression, it lays somewhere in the middle of today’s cupsole shoes. The inner lining, however, is quite nice because there are no pressure spots. 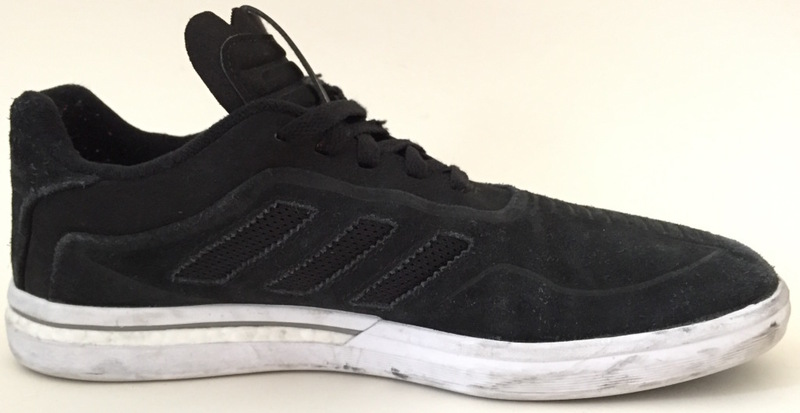 Ventilation is another factor that improves the comfort in a skate shoe and in this case, the Dorado Boost features three big ventilation holes in the inner side, replacing the actual stripes. As a result, the midfoot area’s breathability is great, but the heat and the moisture of the toe area has no ventilation holes to escape out of. Stability is evaluated as ok. The shoe fits very close to the feet in the mid foot area and basically hugs the feet which adds to a secure and stable feeling. However, the shoe did not keep its shape so well in the toe area, where waves in the suede appeared. The adidas Dorado Boost is a shoe that uses innovative sole technology to create a great balance between grip and boardfeel and cushioning in the heel area. Mediocre stability and fit in the toe area are balanced out by great durability.